This article featured on SyedSchemes.com. 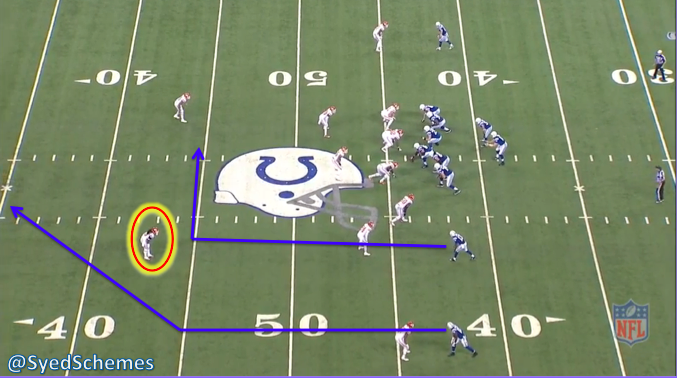 The basic idea of the Mills Concept is baiting the 2-high Safety into overplaying the Dig route to open up the middle of the field for the Post. 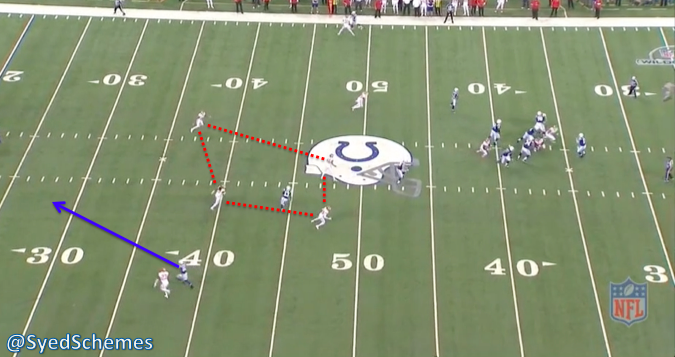 To help set up Mills some coaches also run the Post route with a “Dino” stem, where the WR breaks to the corner before breaking back to the post. 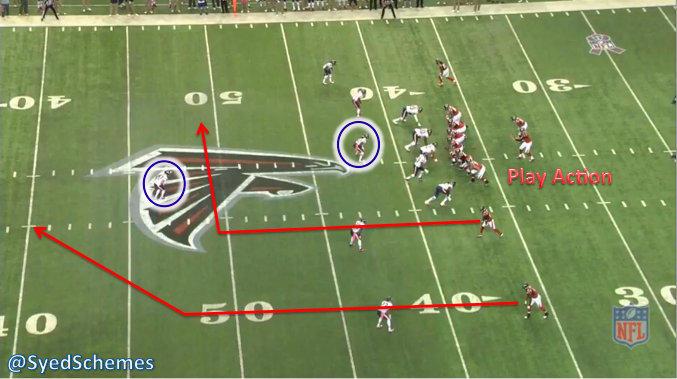 If the 1-high Safety had his eyes in the backfield or tried to replace the void left by the biting Mike Linebacker, the ball would have likely gone over his head for a Touchdown to Julio Jones. 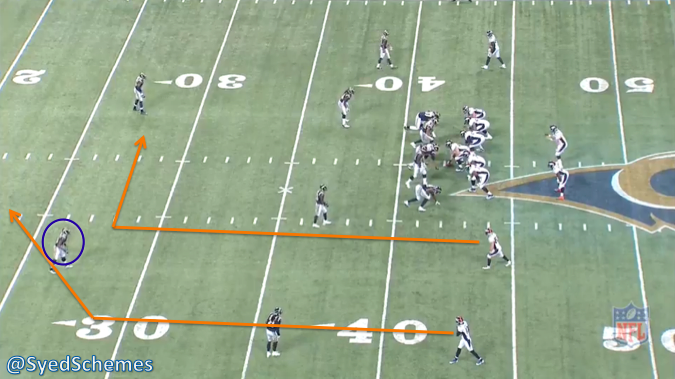 Overall, Mills is a great way to attack Cover 4 and test a Safety’s eye discipline and awareness. Mills can also be successful against 1-high looks and be run with play action to draw up a Linebacker or Safety to create a zone void. 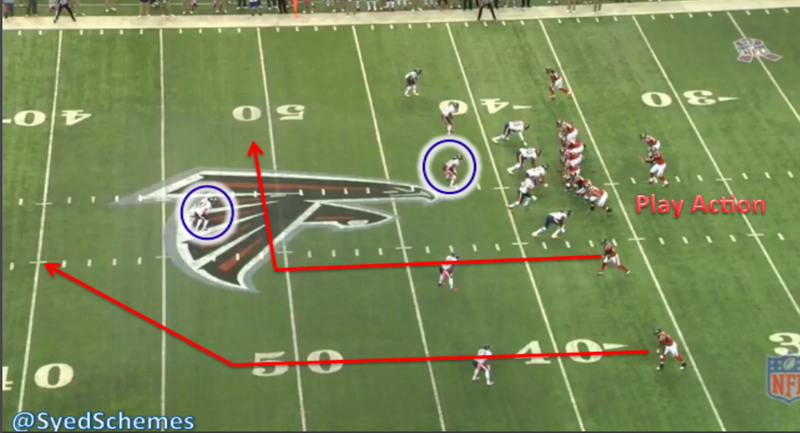 Mills is a concept that can take advantage of a great wideout as a decoy to open up the field for other players. Click here for more articles from our Beginner Series.